It’s gonna be a hot one this Friday, July 6th at Lee USA Speedway with post time at 7:00pm. Not because of the high summer temperatures either. The Seacoast 100 is looking to have our highest car counts of the season to date with numbers approaching 30. The series will be continuing the success of using a short time trial period for heat race placement, “I am not a huge fan of luck of the draw for heat race placement, we will use this as further evaluation period moving forward this year” series President Mike Parks said. After three events the points battle is looking to be a North versus South skirmish. Fourth in points Abington, MA driver Nick Lascuola is looking to backup his strong podium finish from New Hampshire Motor Speedway. Third in points, Jacob Dore of Sanford, ME is looking to bounce back from a slight magic mile miscue. Second in points Cory Casagrande of Stafford Springs, CT has been extremely consistent near the top of the time sheets and in final standings. 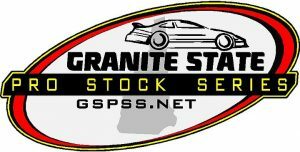 Berwick, ME Driver Joey Doiron was awarded the O’Reilly Auto Parts hard charger award at New Hampshire Motor Speedway and is leading the points after three events. Returning after a one week hiatus, the 2017 champion Mike O’Sullivan and brother Tommy will be unloading with fast pieces ready to get up on the wheel. 2016 champion Barry Gray will also be back with his chassis builder and previous winner at Lee USA Speedway Jeremy Davis. We are absolutely thrilled to have Speed51.com joining us for one of three events to be broadcasted live and free for Speed51.com subscribers as part of their “Summer Thunder” series. 08 Mike O’Sullivan Springfield, Ma 05 Jacob Dore Sanford, Me. 39 Nick Lascoula Abington, Ma. 18 Mike Scorzelli Feura Bush, NY. 29 Barry Gray Belchertown, Ma. 00 Jimmy Renfrew Jr. Candia, NH. 93 Ray Christian III Unscasville, Ct. 21 Josh King Vernon, Vt. 72 Scott MacMichael Newbury, NH. 43 Devin O’Connell Madison, Ct. 7 Cory Casagrande Stafford Springs, Ct. 9 Kyle Welch Newport, NH 73 Joey Doiron Berwick, Me. 32 Steven Murphy Tewksbury, Ma. 03 Joe Squeglia Derry, NH 40 Mike Mitchell Cumberland, RI. 72 Charlie Colby New Castle, Me. 88 Bill Antonellis Lowell, Ma. 09 Jeremy Davis Tamworth, NH. 16 Tommy O’Sullivan Wilbraham, Ma. 31 Luke Hinkley Claremont, NH. 72 Ryan Kuhn East Bridgewater, Ma. 46 Dennis Spencer Jr. Turner, Me. 42 Corey Bubar Windham, Me. 17 Kevin Folan Attleboro, Ma. 51 Jeremy Harclerode Newmarket, NH 93 Ryan Green Berwick, Me. 90 Craig Weinstein East Walpole, Ma.